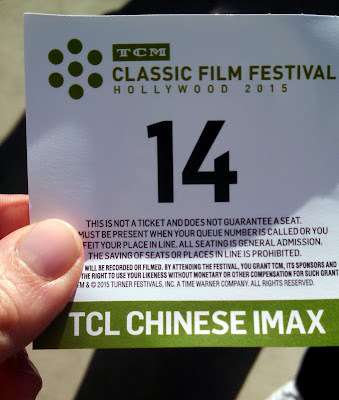 It's taken me a few days to unpack all the experiences of TCM Classic Film Festival 2016, not to mention catch up on sleep. This was my third year covering the festival. It gets better every year. Friendships with fellow film fans deepen, it gets easier to navigate long lines and find places to get a quick bite, and that starstruck feeling of seeing Hollywood greats in the flesh endures from year to year. All 26,000 of us festivalgoers spent four days collectively high on movies, the reflected glory of glamorous stars and the intensely enjoyable feeling of being in the company of people who love the classics as much as you do. For me, the red carpet before the opening night gala film presentation is always the true start of the festival. It's much like the opening credits of an all-star flick like Dinner at Eight (1933) or Grand Hotel (1932); the parade of famous faces offering a preview of thrills to come. I also loved the way event MC Sean Cameron, TCM VP of Studio Production made everyone feel like a star, from the Spotlight passholders to staffers working the event. The crowd happily complied whenever he encouraged a cheer. As I was determined to make it to my first film of the festival, A Tree Grows in Brooklyn (1945), I didn't stick around for the full red carpet procession, but I did catch some amazing sights. Can you believe this guy is 84? I think this first glimpse of The War of the Worlds (1956) star Ann Robinson planted the seed for my eventual interest in catching the film at the festival. 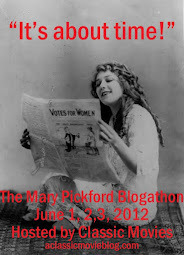 And I'm so glad I did! Baldwin seemed hip to it, and totally in agreement with the crowd. Look at the amazing smile on legendary songwriter Richard Sherman's face. Wouldn't it be great to spend an hour in that lovely musical brain of his? I never get tired of seeing the tireless superstars of the TCMFF family too. This next shot isn't exactly a shot of Maltin. It is actually the moment when I totally freaked out, because KARINA APPROACHES! I mean, I love a woman of mystery, but I also probably would have lost it if she'd stopped to talk after appearing so suddenly and catching me completely off guard. After seeing so many stars over the years, I didn't think I was capable of being so utterly starstruck anymore, but I was shaking for a good half hour after she passed by. My completely emotional response was to shout out "Je t'aime Karina!" After which a woman in the stands said "Anna Karina?" She walked by that quickly. Though I was disappointed to not catch the rest of the stars on the carpet, I had to miss the glorious presence of Gina Lollobrigida, Lou Gossett Jr., Roger Corman and more to make it on time to my first film. After that Karina moment, I don't think I could have sat still much longer anyway. 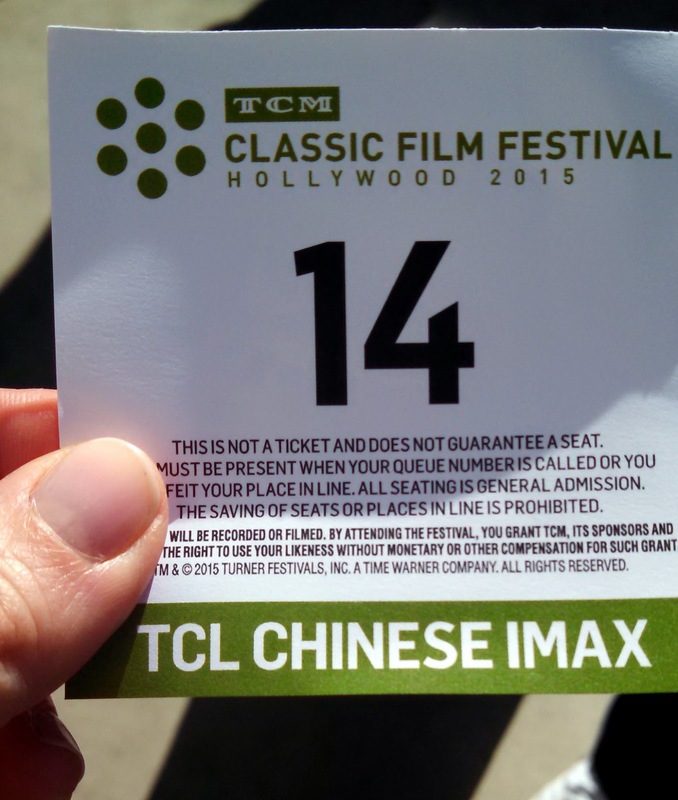 Check out my full coverage of TCMFF 2016 here. Correction 5/10/16: Norman Lloyd's age changed from 102 to 101. So good to hear--thank you.That's just the effect I was going for!